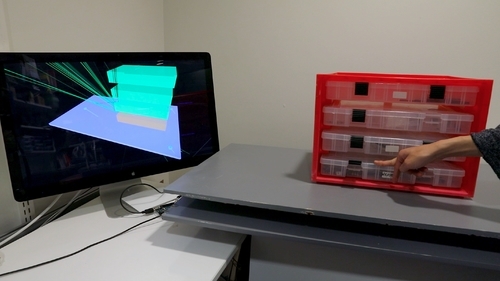 Abstract: Expanding the concept of tangible interaction from designed interfaces to everyday objects around the life, we are working on 3D touch detection project, which has deployable load sensitive surface to capture the tangible interaction. 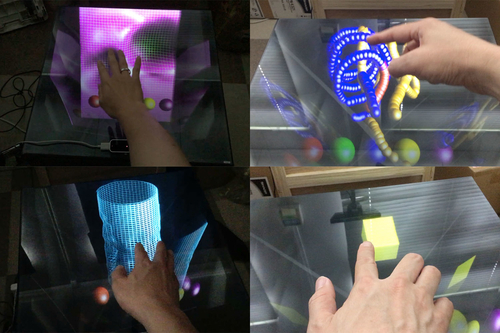 On top of the key insight that human hand is continuously moving and never stops completely, our mathematical approach with pseudo inverse matrix method enabled the system to understand three dimensional touch interaction between user and objects above the 2D surface with embedded loadcels. 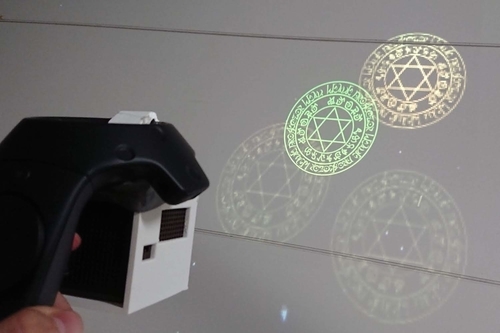 Abstract: The reconstructed the image by the light field display is projected in the air by fresnel lens and aerial imaging by retro-reflection and we can get to feel more reality. Abstract: We propose a novel visual analysis framework, MissBi, which allows for examining and understanding missing links in bipartite networks. Abstract: We present a novel motion retargeting system using the deep autoencoder. We conduct several experiments and ours achieves more accuracy and less computational burden when compared with other approaches. Abstract: To accurately cluster faces within an individual manga, we propose a method to adapt manga face representations to an individual manga. 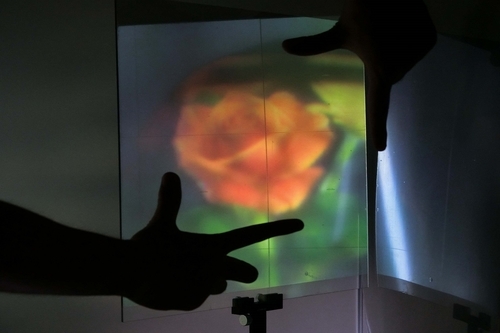 Abstract: In this research, we extend the projection based MR using pico projector. The user can freely project the virtual information and leave it in the real environment. Abstract: We propose a novel method to generate alphabet collage art from a single input image by replacing the partial curves of the image with the best-matched shape of alphabet letters. Abstract: The poster discusses the challenges, opportunities, and lessons gained from working with students from different cultures, inspiring novel ways in which animation education in Asia can be conducted. 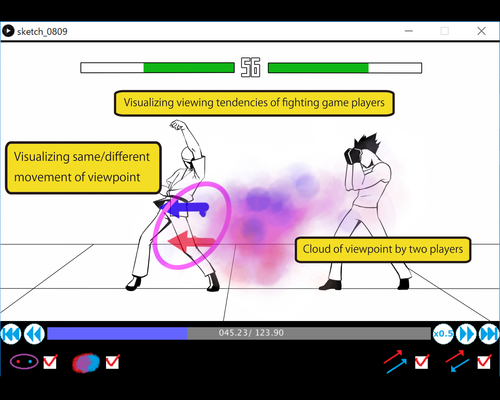 Abstract: We propose an interface to support post-match play-by-play analysis of a hand-to-hand fighting game based on the two players' eye movements. An e-Sports match, like a professional chess match, is followed by analysis and commentary about the performance of the players. In this study, we constructed an interface for visualizing information about the match based on the players' eye movements to facilitate post-match play-by-play analysis and commentary. Our interface highlights commonalities and differences in the areas on the screen where the players focus their attention, as well as commonalities and differences in the direction of their eye movements. 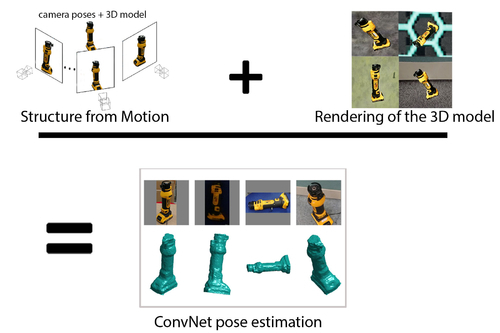 Abstract: Using structure from motion and domain randomization, we propose a method to quickly generate large datasets for training a ConvNet object pose detector. 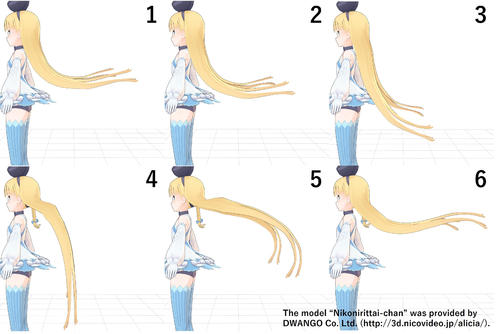 Abstract: A method for automatic generation of anime-like hair motion of 3D characters is presented. 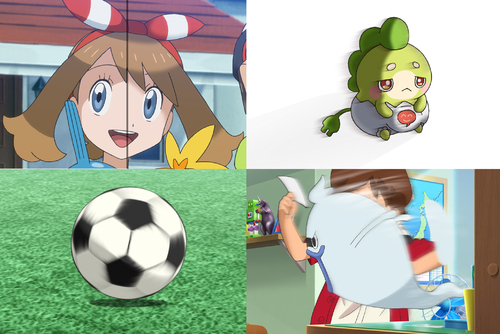 The hair motion is produced according to the traditional Japanese animation style. Abstract: We propose a semi-automatic system to calculate the image registrations of projections for leaves and to interactively track the projection area. We describe our results with some animated effects. Abstract: Dancheong is designed to decorate various parts of wooden buildings with beautiful and majestic colors. The painting process involves a stage called Cheoncho which is a process whiich a craftsman punches holes one by one on the paper with a needle and repeats this action over millions of times. 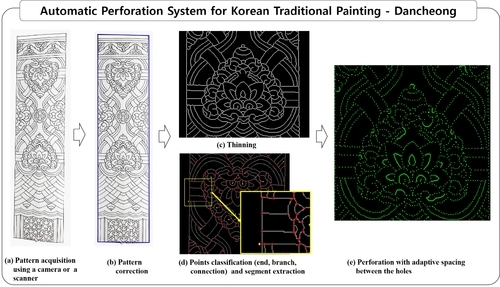 In order to reduce those kinds of time consuming job, we propose a system that automatically performs Cheoncho process to assist a craftsman in copying the desired pattern to the target building part with easy and accurate manner. Abstract: This talk introduces specific blurring algorithms tailored for cartoon animation: a "Soft" style blur, and new directional/radial anisotropic blur used for cartoon moody and motion lines. Abstract: The proposed system allows the users to interactively and automatically draw the traditional Chinese Sea Punica Granatum architectural decorative floral patterns. 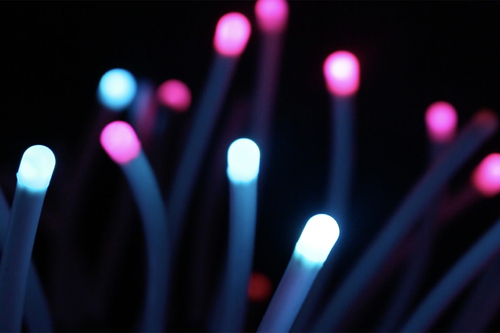 Abstract: We introduced color enhancement factors to control spectral power distribution of illumination, which enabled us to enhance one or more colors at once while retaining the color appearance of white. Abstract: User not only receive the visual and auditory feedbacks from their first-person perspective, but also feel the haptic experiences according to different movie scenes. Abstract: Our technique can give motion impressions to static objects by means of visual illusion! Abstract: We investigate deep learning-based super-resolution of digital comic images. 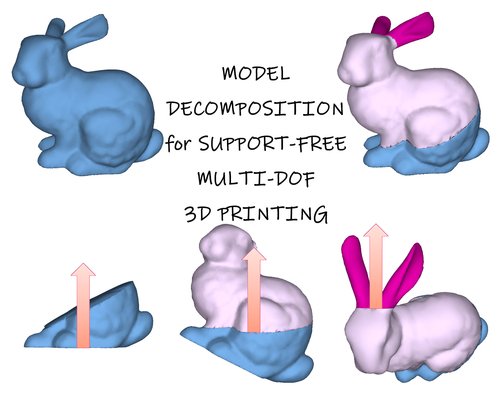 Techniques effective for comic images and a new efficient model are presented. 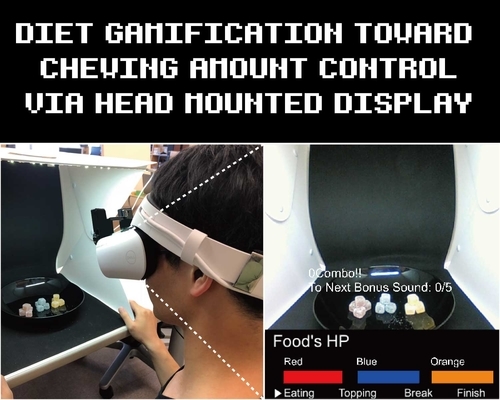 Abstract: We propose the diet gamification MR system to enhance chewing to promote human's health. The results of the subjective experiment suggest that this system increase the quality of chewing. Abstract: we propose the method reproduced tequniques used by animators to discribe the waving behavior of the hair, and generating an animation without strangeness as the cell-look animation. Abstract: Heat map is important for eye tracking analysis and visualization. 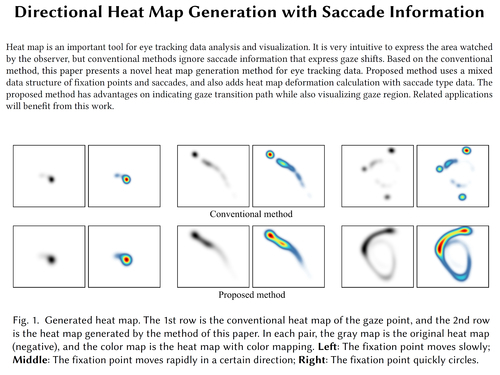 Proposed method uses mixed data structure of fixation points and saccades, that reflects actual gaze transition direction and gaze region. 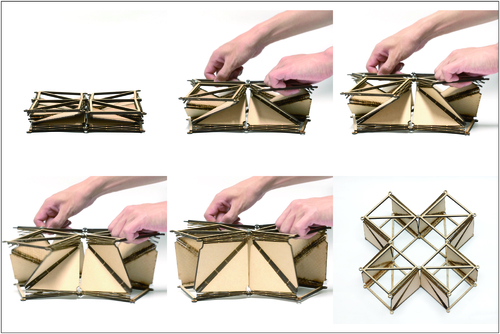 Abstract: This paper made a digital twin musical instrument system of Zheng. We build the whole interactive experience (the interactive playing on the DMI, sound generation, and the immersive virtual environment). 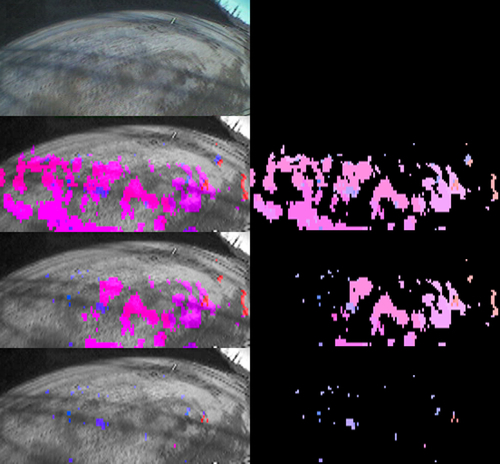 Abstract: We introduce two simple techniques to enhance visualization of human anatomy, one is post processing for rendering, and another is a simple trick for geometry processing. 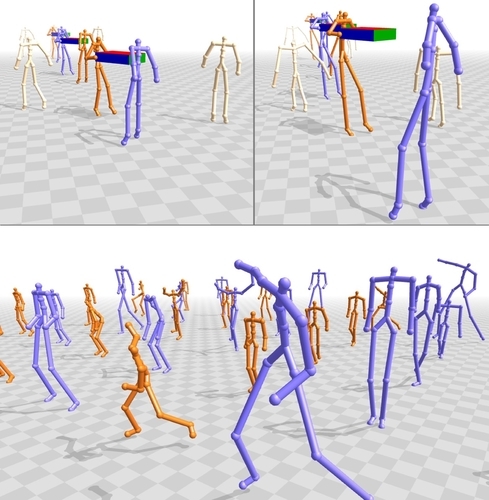 Abstract: We evaluated the 3DCG movement to make 3DCG a 2D animation style. 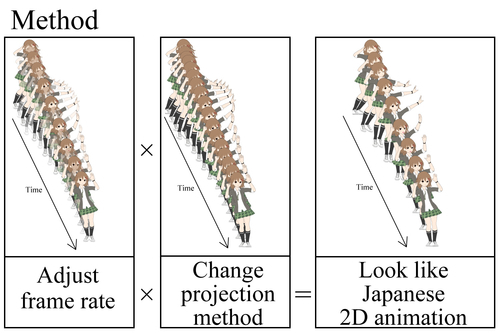 We conducted a subjective evaluation of 3DCG movement when frame rate and projection method were changed. 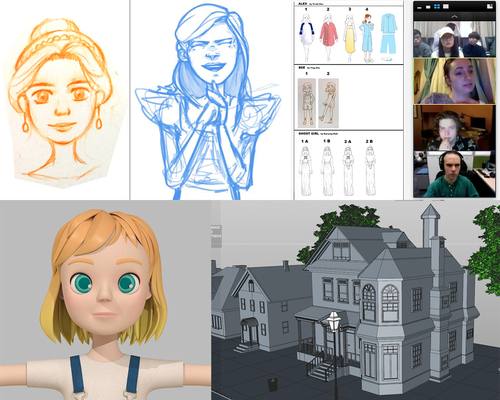 As a result, we could make the movement of 3DCG more similar to that of 2D animation. Abstract: We present a 1 USD Do-It-Yourself wearable which coupled with a webcam, can provide 6-DoF per fingertip tracking in real-time. 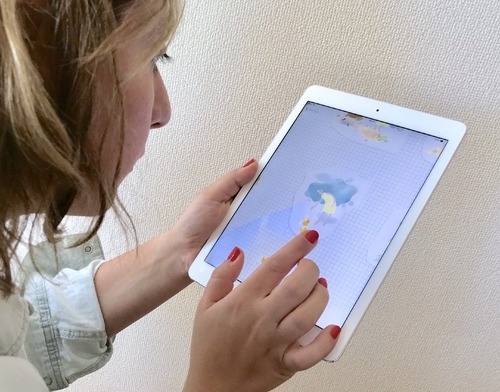 Applications include in-air writing, input for games and 3D UIs. 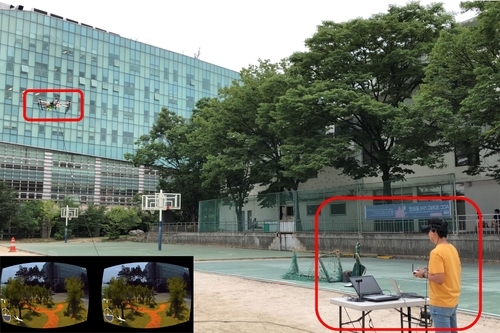 Abstract: We present a drone with a stereoscopic camera based on human binocular vision, which offers a novel mixed-reality environment with a bidirectional interaction between the real and virtual worlds. Abstract: We propose a method which allows users to choose the desired viewpoint for a panoramic or perspective image from just one panoramic image. Abstract: Education-specific, 3D virtual worlds as simulations – termed Synthetic Learning Environments - are ideal for 21st century learning. 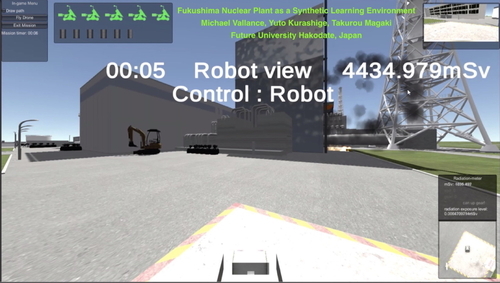 An SLE project of the Fukushima Dai’ichi nuclear power plant was designed, modeled, programmed and implemented for education purposes, motivated by the fact that the disaster of March 2011 revealed much about Japan’s lack of preparedness for nuclear accidents. 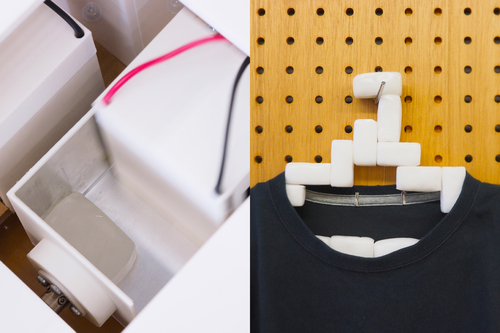 An iterative process of design, make, share and reflect was adopted by the student developers. In Japan, the creative process is termed TKF: Tsukutte つくって; Katatte かたって; Furikaeru ふりかえる. Abstract: We present an efficient and reliable approach to collect a reliable sun position dataset which can benefit the research projects of outdoor illumination. Abstract: This paper allows users to deform 3D facial model projection images with intuitive parameters for the axes of feature spaces that represent the style used for drawing faces for anime. Abstract: We propose a deep learning based approach for generating a effect animation. We used a conditional GANs as a next-frame prediction model. 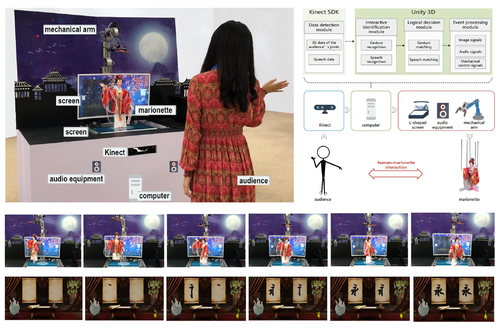 Abstract: We performed and evaluated finger motion recognition of air-tapping using CNN with sEMG input signals, through the character input experiment in VR space. Abstract: GoThro is a capturing system that exceeds the physical limit due to the camera body, and that is composed of a camera and optical systems. Abstract: We present a technique for reconstructing three-dimensional cartoon hair from a single anime-style portrait image. 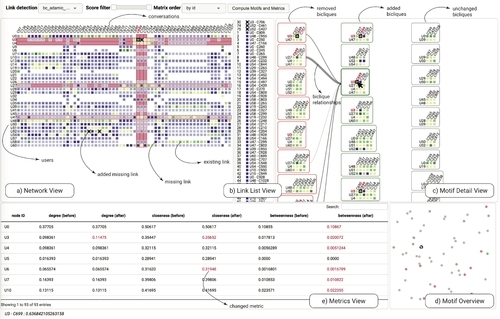 Abstract: Our work seek to minimise texture memory usage by streaming only view-relevant textures and to improve rendering performance using parallel constructs offered by Vulkan. 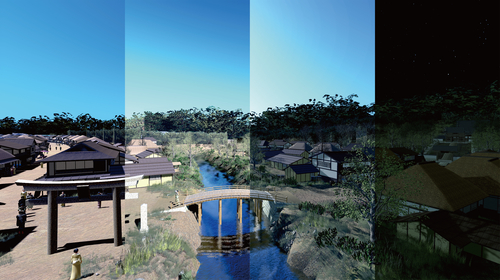 Abstract: We developed a streetscape simulation system for the post-station town of Fujisawa-juku on the Old Tokaido for inheriting its historical culture. This system can reflect different weather, time, and seasons. Abstract: A novel human-computer interaction technique based on voluntary vergence of the eyes is proposed which allows a user to control the depth position of a physical object. 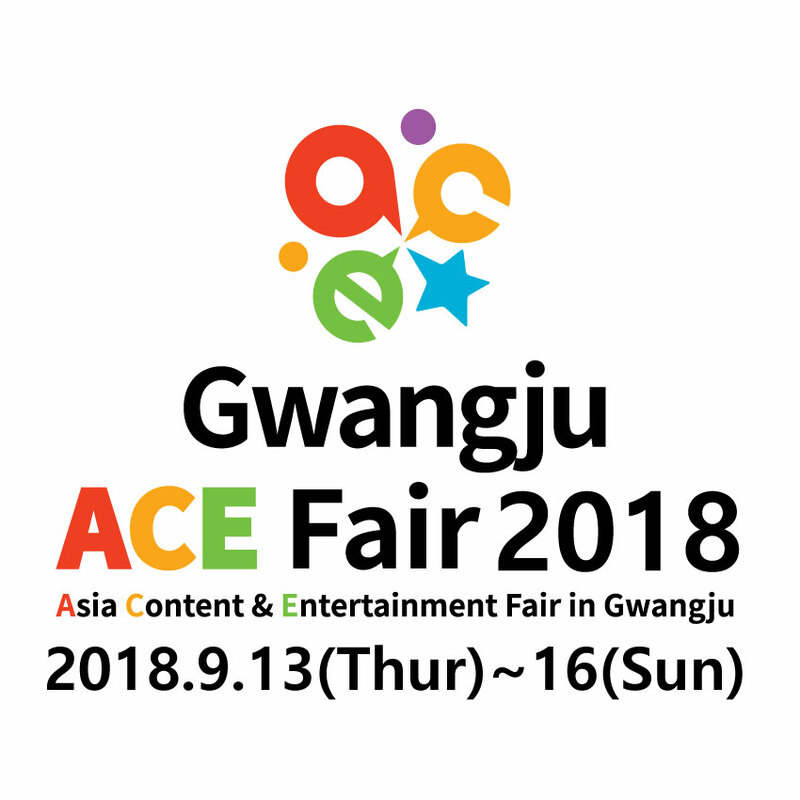 Abstract: We use human-computer interaction technology to enhance the interactivity of the marionette show and use digital media technology to ensure the artistry. 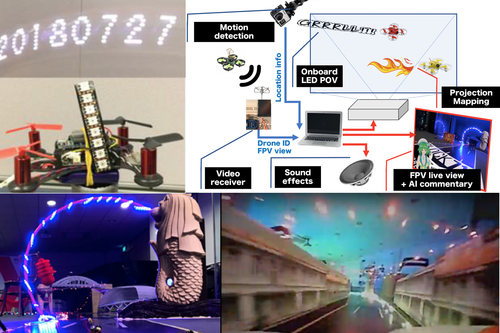 Abstract: We propose a novel system that enables a user to see stereoscopic 3DCG images in mid-air and interact with them directly. 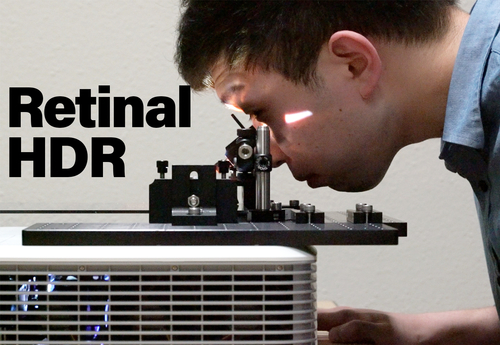 This system displays 3DCG objects with motion parallax in mid-air. 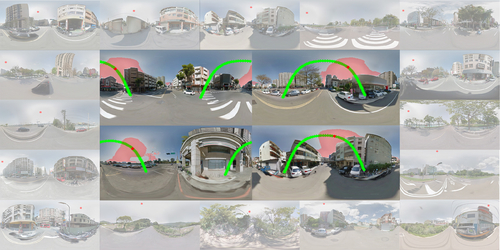 The user can observe the 3DCG objects in mid-air while feeling a stereoscopic effect by the motion parallax. 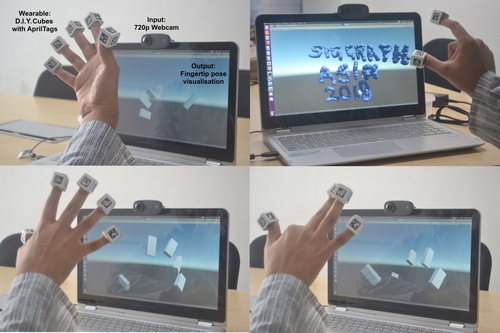 It is also possible to interact with the mid-air 3DCG objects by fingers. 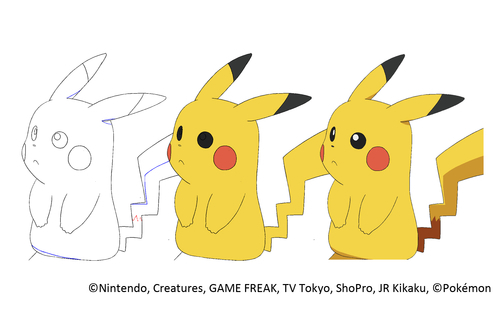 The user can move, deform and draw 3DCG objects as if they were there. Abstract: This study allows users to interact with a mid-air CG character by displaying mid-air images and capturing from that viewpoint with optical transfer of the camera viewpoint. 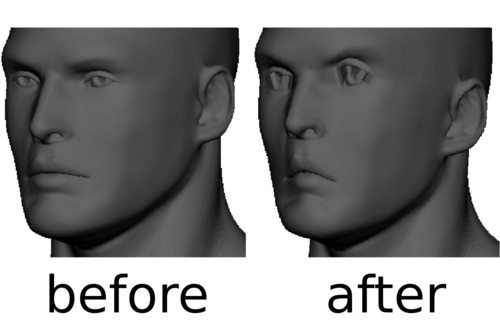 This system enables an interaction in which the user and the mid-air CG character stare each other. Abstract: We propose a support system that a novice can easily design a craft band work of the desired design. Abstract: In this paper, a gaze navigation method for an interactive visual narrative application is proposed, and a prototype system, developed for touchscreen computer devices, such as the iPad, is described. 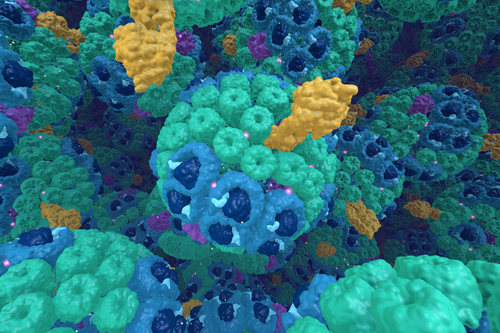 Abstract: We present learning activities where first-year biology students learn about complex biological structures by creating their own VR experiences, rather than using VR as a learning tool. 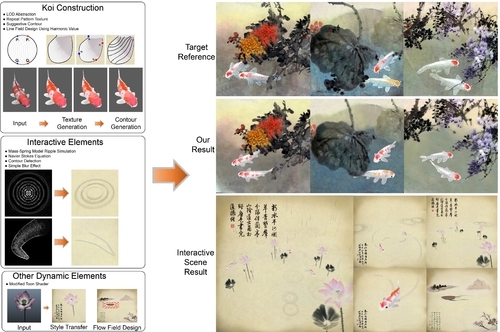 Abstract: Our system generates koi animation in the style of Chinese painting fast and easily based on 3D models and other dynamic Chinese Painting elements according to the user inputs. Abstract: We propose a deformation structure that expands in xzy axes simultaneously using Ron Resch pattern. this structure is an Integrated Design, which enabled us to design according to the application. Abstract: We propose a novel foveated super-resolution convolutional neural network (SRCNN) for HMD using an object tracking algorithm to reduce computation load for rendering high resolution images. 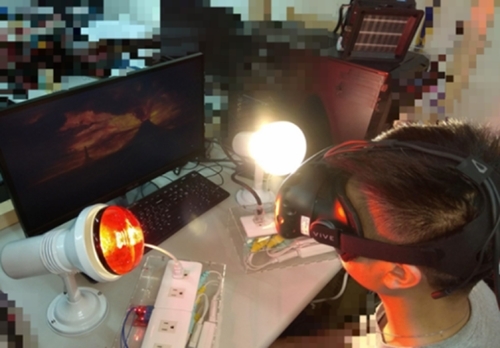 We implement the object tracking on the region to compensate for a frame processing speed of eye-tracking devices, relatively slow to apply the resolution conversion. 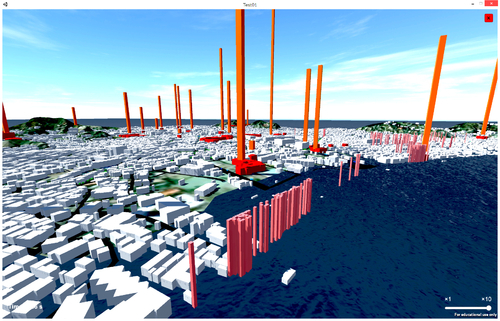 SRCNN applies to cognitive regions, and typical interpolation applies to other regions to reduce the rendering cost. 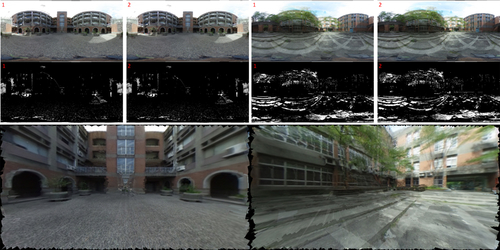 As a result, the computation is decreased by 90.4059%, and PSNR is higher than the conventional foveated rendering algorithm. 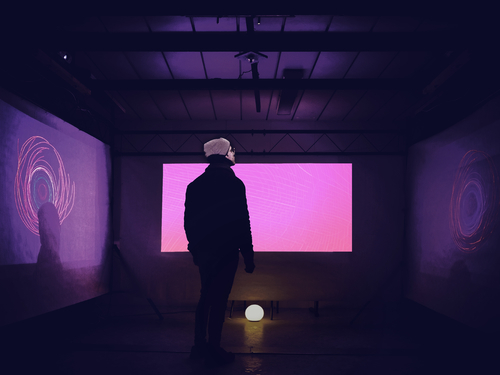 Abstract: OpenISS is an open source software suite, which exhibits a multimodal interaction architecture with individual components providing a platform for artists to augment art performances, entertainment and technology also as SaaS. It is positioned to be the backend core for ISSv2 and similar systems. 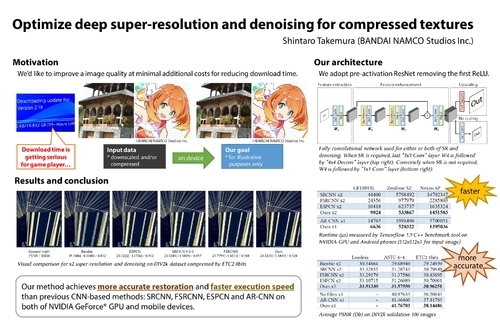 Abstract: Our super-resolution and/or denoising method achieves more accurate restoration and faster execution speed than previous CNN-based methods: SRCNN, FSRCNN, ESPCN and AR-CNN on both of NVIDIA GeForce® GPU and mobile devices. 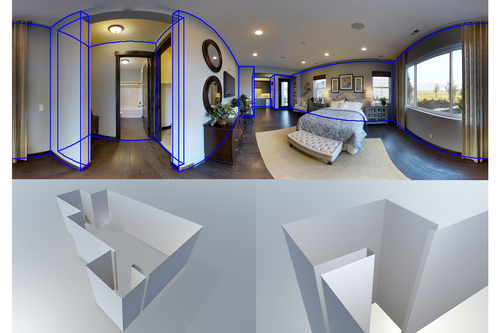 Abstract: We propose a semi-automatic system that annotates 2D panoramas to obtain high-quality 3D room layouts with both automatic estimations and user edits. Abstract: We propose a method that uses low cost camera facilities and defines the spherical radius as disparity for scene reconstruction. Abstract: Automatic colorization is a significant task especially for Anime industry. An original trace image to be colorized contains not only outlines but also boundary contour lines of shadows and highlight areas. 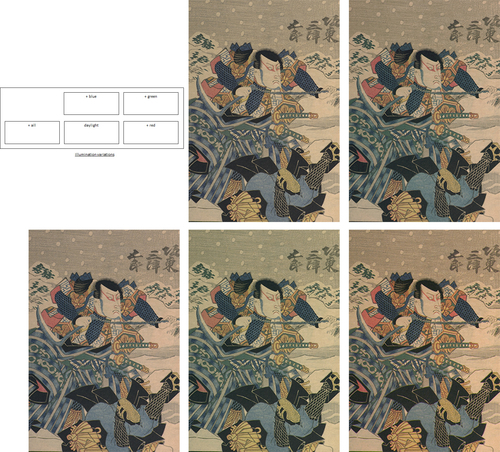 Unfortunately, these lines tend to decrease the consistency among all images. 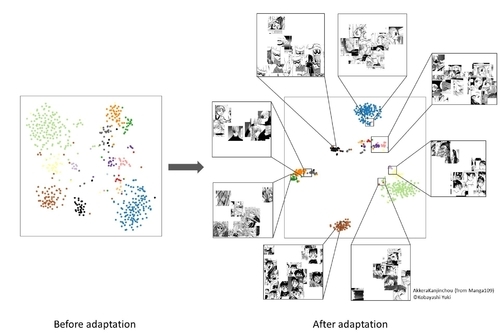 Thus, this paper provides a method for a cleaning pre-process of anime dataset to improve the prediction quality of a fully convolutional network, and a refinement post-process to enhance the output of the network. Abstract: We proposed and implemented a block-assembly rapid prototyping system that can transform the size and shape of blocks and strengthen adhesion by using blocks made of PCL. 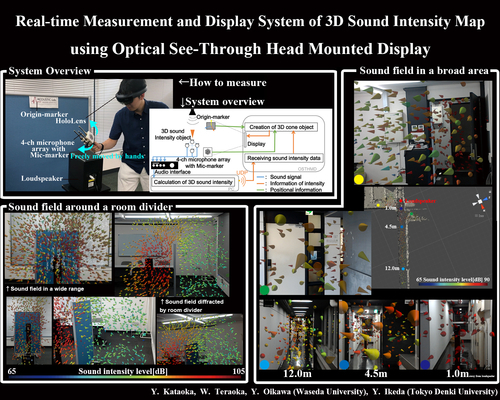 Abstract: We propose a system of real-time measurement and visualization for a broad sound field by using optical see-through head mounted display (OSTHMD) with simultaneous localization and mapping (SLAM). The proposed system can superimpose the measurement results directly on the real space by OSTHMD and SLAM. The system also achieves free movement of measurement positions in a broad area without multiple AR markers. Visualizing the 3D sound intensity map, which is a stationary vector field representing the energy flow of sound, of an entire room by the proposed system helps us to design the sound field within a space. 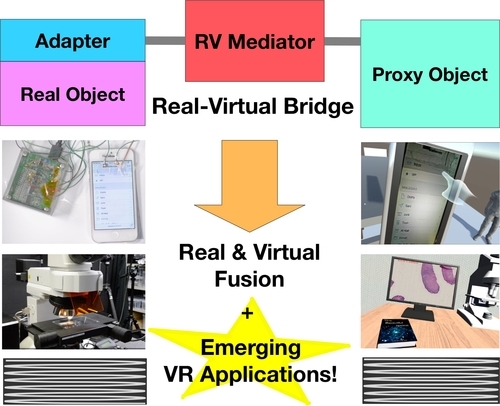 Abstract: We propose a real-virtual bridge, a conceptual model that can be used to integrate real objects and virtual objects for constructing virtual reality application systems, introduce the concept and architecture of a real-virtual bridge, and describe two implementations of the bridge on smartphones and microscopes. 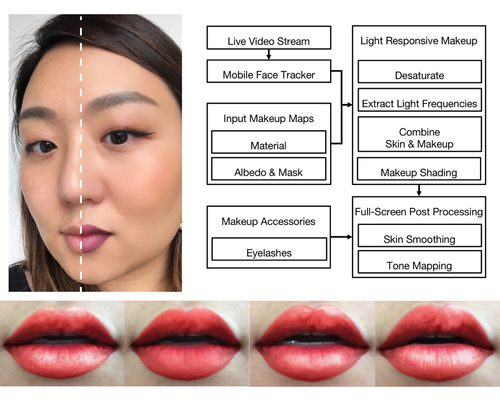 Abstract: We propose a novel approach to the application of realistic makeup over a diverse set of skin tones in mobile phones using augmented reality. Abstract: Augmented FPV Drone Racing is a system that allows spectators to understand the situation of drone races easily by using augmented feedback techniques, including projection mapping and autonomous commentaries. In this project, we have been developing visualization solutions for FPV (first person view) drone racing to allow the spectators/pilots to understand easily (or intuitively) the race situation. Abstract: There are multiple problems in the area of near-eye display: field of view, vergence-accommodation conflict, image quality, and dynamic range. A study has been conducted to solve such problems. 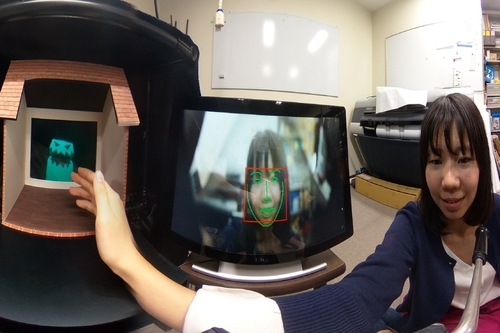 However, compared with other near-eye display tasks, a few studies have targeted HDR near-eye display. 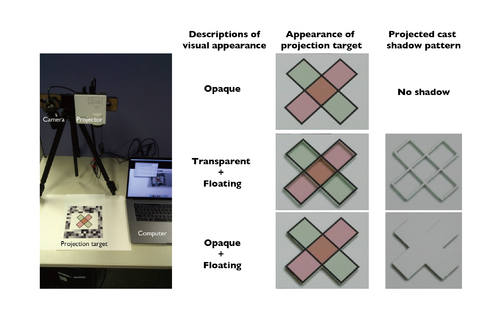 We propose HDR representation method for near-eye display combining Dihedral Corner Reflector Array (DCRA)-based retinal projection and a high-contrast projector. 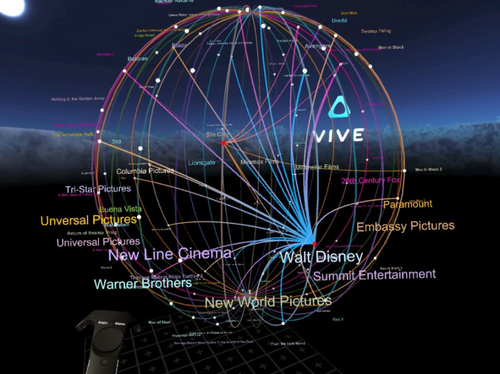 Abstract: We developed a novel graph visualization technique designed specifically for virtual reality. Furthermore, we conducted a user study that compared our novel ring visualization to a traditional node-based graph visualization. Abstract: A custom software integration and rendering pipeline combines scientific and visual effects tools to cinematically visualize a supercomputer simulation of a photosynthetic organelle called a chromatophore. 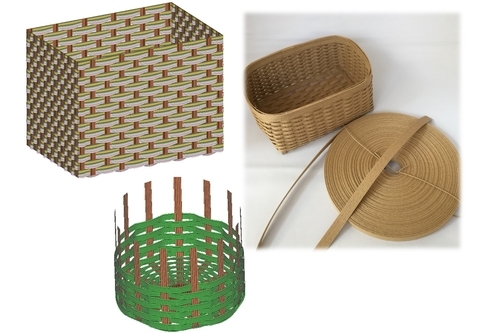 Abstract: Reconstructing textured three dimensional (3D) models of insect specimens is important, since digital format has various advantages such as high space efficiency, high accessibility, degradation free and so on. This poster presents a technique for reconstructing a 3D shape and texture of an insect by using X-ray CT measurement and focus stack imaging. 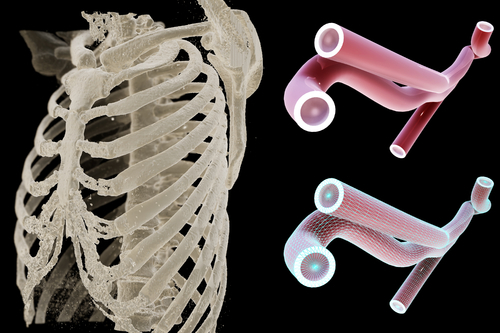 We construct a 3D shape by segmenting CT volume and obtain a texture from focus stack images taken from multiple viewpoints. By combining the both, we achieved to reconstruct highly detailed shapes and textures of insect specimens. Abstract: Yuki-tsumugi is a traditional Japanese silk fabric. In the production of this silk fabric, a splashed pattern based on a picture is first created on a sheet of exclusive grid paper. Second, piece goods is woven based on the pattern plan. Finally, a kimono is produced from the piece goods. However, estimating the appearance of changes to the kimono during each step of the production is difficult. 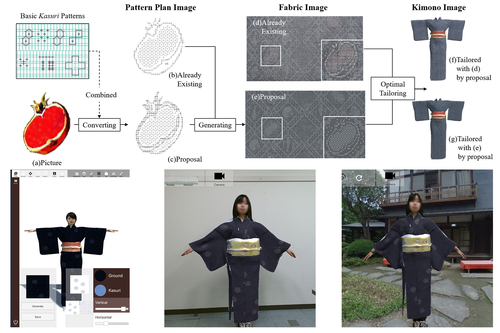 Therefore, we propose a method for generating a kimono image of Yuki-tsumugi from a picture based on the actual production process. 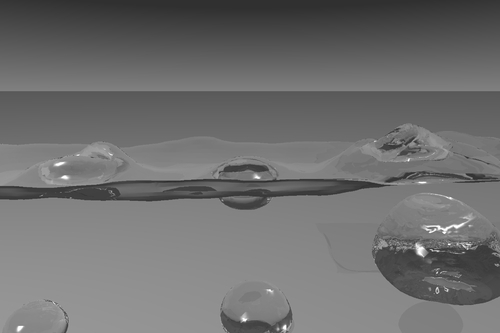 Abstract: Our method based on incompressible SPH and multi-fluid simulation framework realizes the various behaviors of bubbles, especially the floating and rupturing effect can be simulated physically. 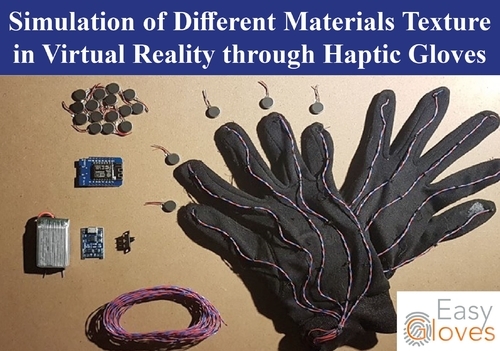 Abstract: This article explores the possibilities of a light and inexpensive way of doing haptic feedback through texture simulation using tactile vibration. 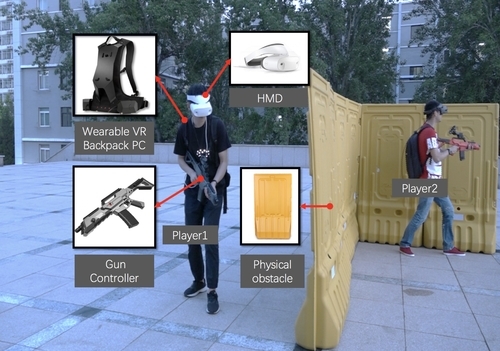 With the popularization of virtual reality, the field of haptic feedback is in turmoil. 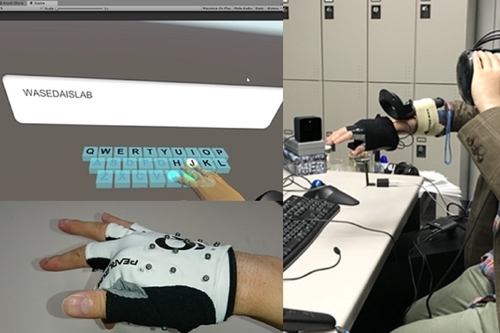 The goal in this study is to expose a moderately realistic but cheap way of simulating haptic feedback including the texture of a surface, to propose a system accessible by the great majority. Abstract: This abstract reports how solo casual runner felt the jogging companion shown on a pair of smartglasses s/he was wearing in our pilot study. 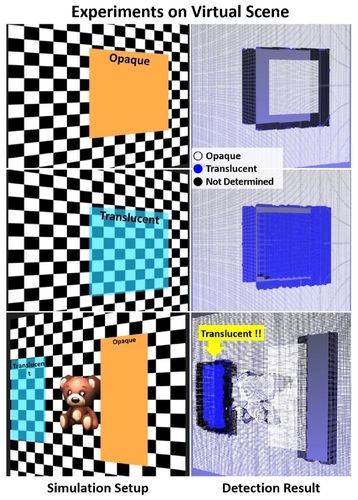 Abstract: This study reports a novel perceptual light projection technique which can give illusory depth impressions to a real two-dimensional object. 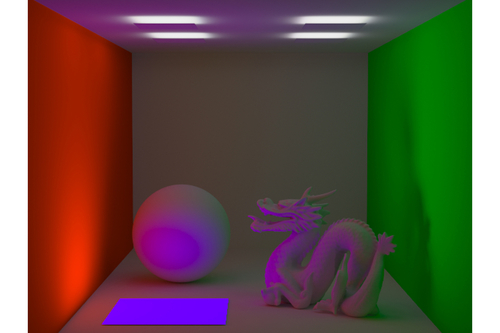 Abstract: We propose a method for rendering fluorescence under global illumination environment efficiently by using importance sampling of wavelength considering both spectra of fluorescent materials and light sources. Abstract: We analyze relationship between the gaps of multiple process cycles and tolerance to motion acceleration of the camera. Then we verify the result on the actual moving object detection system. Abstract: Holographic-look small fish is floating within the water filled in a petri dish. 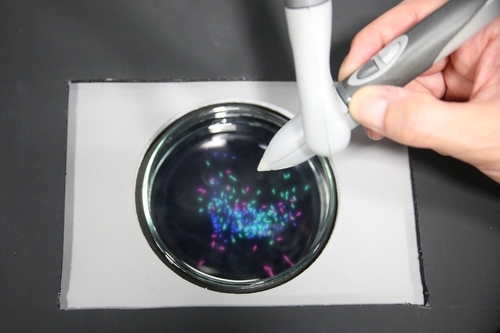 A user can enjoy interacting with the simulated schooling fish-like artificial life through aerial imaging and haptic feeling. 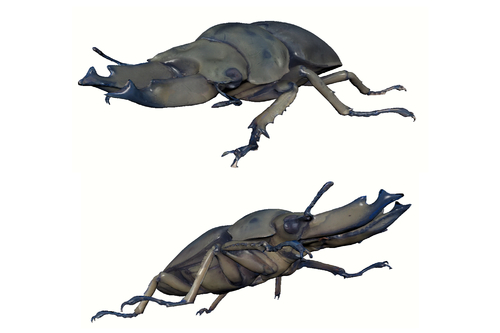 The virtual creatures moves autonomously by combination of a predator-prey model and BOIDs algorithm implemented by a potential method. 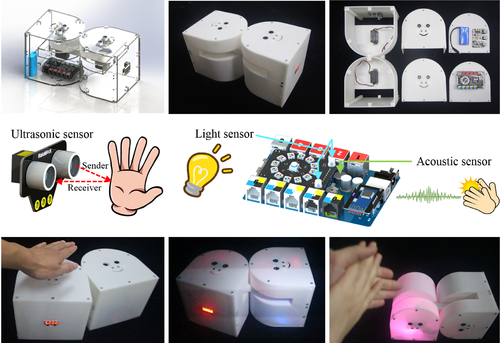 Abstract: We introduce tangible interaction through multi-channel sensors into 3D printed modular robots. A user study shows that young students can effectively improve their spatial-reasoning skill after interacting with these robots. Abstract: The Tentacle Flora is a robotic sculpture inspired by a vision of a colony of the sea anemone growing on the coral. A shape-memory alloy actuator is used as tentacles and is composed of a BioMetal Fiber such that it can bend in three directions. 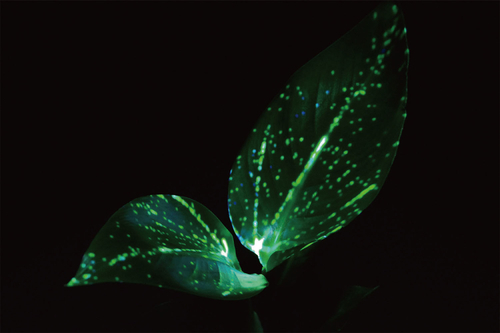 The top of the actuator glows softly mimicking a bioluminescent organism using a full colored LED. The Tentacle Flora induces the beauty, wonder, and existence of living sea anemones in the depths of the ocean. 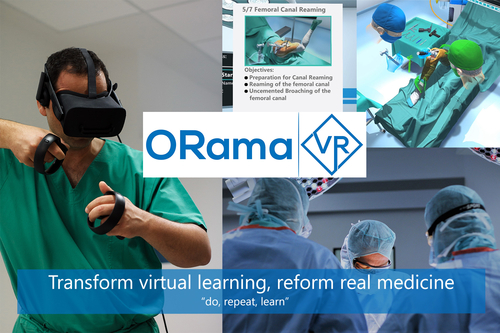 Abstract: Our mission is to transform medical education and training of surgeons, through innovative VR simulation and skill transfer from the virtual to the real operating room in a fail-safe environment. Abstract: Transitory project is an artistic and digital installation, centered around artificial intelligence. It interacts directly with the audience, diffusing abstract audiovisual elements and expressing herself through poems. Abstract: In this paper, we develop a web-based vector graphics interweaving and penetrating editing system. We propose a data structure to dealing with interweaving and penetrating, allowing users to assign depth value for each edge of a polygon. As a result, when we click on a polygon and move it to interweave with another one, the intersecting edge is calculated using linear interpolation of the depth values. In contrast, the conventional SVG format arranges layers to separate two polygons for interweaving and penetrating. 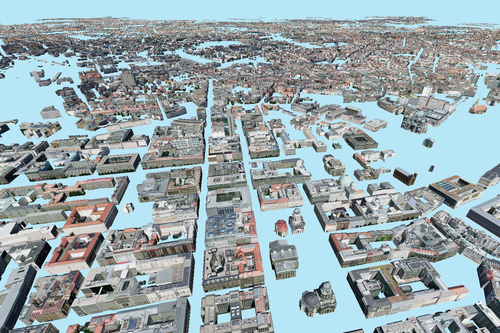 Abstract: We implement a system that simulates evacuee behavior during a tsunami using massive agents and develop free and easily accessible tools that can be used by local governments and residents. Abstract: We discuss a mobile video editing application that uses Vulkan - a low overhead, cross platform, graphics and compute API, and compares with an Open GL ES based multimedia application.